Splashing, swimming, sitting back and relaxing - that’s what Water Worlds and thermal baths in Tyrol are all about. Childrens’ hearts will leap for joy when they are splashing around in the swimming pools, while adults can relax in the whirlpool in the meantime. 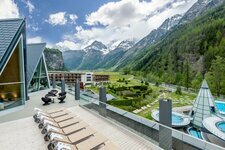 From the nature swimming pool Wenns to the well-known Aqua Dome in Längenfeld: Water Worlds and spas in Tyrol will for sure give you satisfaction! 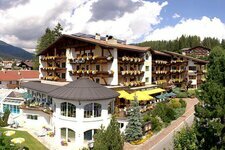 The bathing, spa and health centre Aquarena is located in the centre of Kitzbühel. 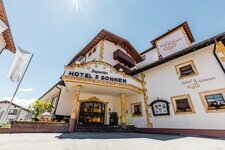 The Aigner Badl was founded 240 years ago and is the only preserved spa in East Tyrol.